Renee Sue Smith, age 59, of Eldora, Iowa passed away on Monday, November 12, 2018 at her home in Eldora, while under the care of both Care Initiatives Hospice and Greenbelt Home Health Care. Memorial visitation will be held from 5:00 p.m. until 7:00 p.m. on Thursday, November 15, 2018 at the Creps-Abels Funeral Home in Eldora. A memorial service will be held at 11:00 a.m. on Friday, November 16, 2018 at the First Congregational United Church of Christ, in Eldora. Inurnment will be held at 11:00 a.m. on Saturday, November 17, 2018 at the Sacred Heart Cemetery in Fort Madison, Iowa. Memorials may be directed to the Hope Lodge in Iowa City. Renee was born on January 13, 1959 in Fort Madison, Iowa, to her parents Robert and Sherrill (Rings) Long. She was raised in Fort Madison and graduated from Fort Madison High School in the class of 1977. She then graduated from UNI, with a degree in education. Renee was united in marriage to Michael Smith on August 9, 1980 at the First Christian Church in Fort Madison, Iowa. Together they made their home in Eldora and raised their children, Matthew and Jenni. 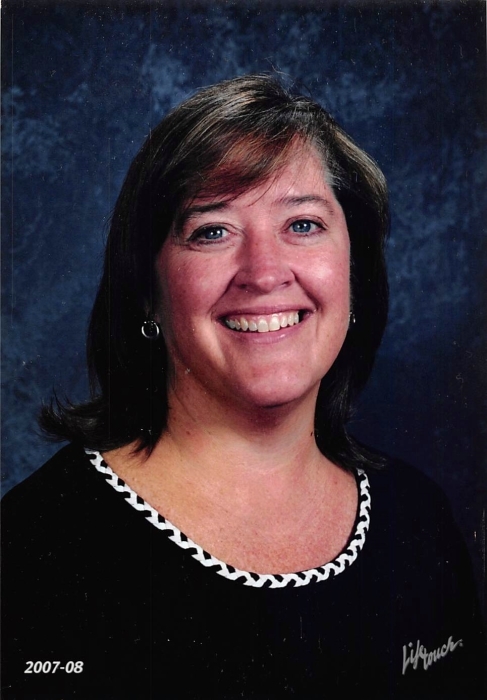 Renee was a teacher at the Eldora-New Providence Elementary School until her retirement in 2016. She will be missed and long remembered by her former students, whom she loved dearly. She was a member of the First Congregational United Church of Christ, in Eldora. There she served the church in a variety of capacities: church council, missions and as a Sunday school teacher. Renee was a member of the women’s philanthropic organization, P.E.O. She also was an active member in her bridge group and a very active member, both as a camper and a counselor, at Camp Lookout in Montrose, Iowa. Renee enjoyed spending weekends and summers at Harpers Ferry, boating on the Mississippi River. She loved traveling, specially her trips to Mexico, Ireland and Disney World. Renee loved to spend every Christmas in her childhood home in Fort Madison. Her true joy in life came from spending time with her family, especially her grandchildren. Renee is survived by her parents Sherrill and Lawrence “Larry” Sallen of Fort Madison, Iowa; husband of 38 years, Mike Smith of Eldora, Iowa; children Matt (Christin) Smith of Asbury, Iowa and Jenni Smith (Ryan Hurt) of Ames, Iowa; grandchildren Evania, Laurence and Aria Smith; brothers David Long of Des Moines, Iowa, Stephen (Julie) Long of Fort Madison, Iowa, and Michael (Cindy) Long of Ankeny, Iowa; and many nieces and nephews. She was preceded in death by her father Robert Long; grandparents; niece Eliza Long; and nephew Ryan Brown.